We welcome our new arthropod overlords. 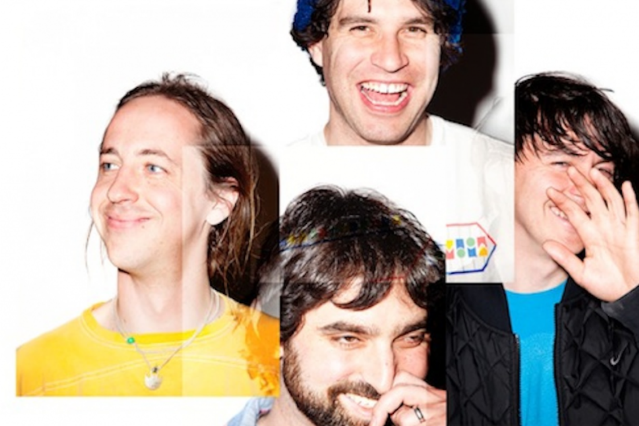 Animal Collective has announced they will be releasing a new album titled Centipede Hz on September 4 via Domino. The follow-up to 2009’s Merriweather Post Pavilion will consist of 11 tracks, but it won’t include the “Honeycomb”/”Gotham” 7″ single the band unveiled earlier this month. In conjunction with the announcement, the Baltimore-born art-pop experimenters posted a brief teaser video. With sci-fi bleeps, Tron-style graphics, and robotic voices reading the track listing, it’s at once quintessentially AnCo and something like a transmission from the centipede galaxy; “From us to you on Centipide Hz,” reads blocky text at the bottom of the screen. Check out the video and the track list below.